In this criminal complaint, the government claims that Khaalid Adam Abdulkadir made death threats against FBI agents in various Twitter posts. Abdulkadir’s alleged tweets came after the government’s investigations and prosecutions of ISIS recruits. In April 2015, the FBI arrested and charged six men with conspiring to provide material support to ISIS, a story you can read here. And on December 9, 2015, FBI agents arrested Abdirizak Mohamed Warsame and charged him with conspiring to provide material support to ISIS, the details of which are here. Within 10 days of the criminal complaint, Abdulkadir’s attorneys filed a motion seeking “immediate disclosure” of the “Confidential Human Source” that supplied the Twitter information to the FBI. The government agreed that its informant was responsible for first alerting law enforcement to the Twitter communications, but refused disclosure under the government–informant privilege. The government–informant privilege protects from compelled disclosure the identity of persons, or informers, who supply information about legal violations to the appropriate law-enforcement personnel. The U.S. Supreme Court solidified this common-law doctrine in Rovario v. United States, 353 U.S. 53 (1957). Despite the name’s implication, the privilege belongs to the government, not the informer, but protects informers from retaliation or retribution and encourages citizens to communicate their knowledge of violations of law to government officials. The privilege is not absolute, and must “give way” in certain circumstances. The privilege does not protect communications between the informer and law-enforcement that “will not tend to reveal” the informer’s identity. And, of course, the privilege does not apply after law enforcement discloses the informer’s identity. 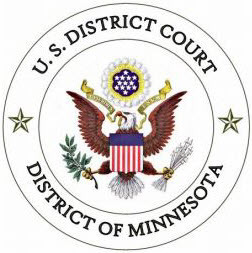 As a final privilege limitation, courts will compel disclosure of the informer’s identity where his identity or communication “is relevant and helpful to the defense” or “is essential to a fair determination of a cause.” This limitation effectively means that the court will order identity-disclosure where the informant’s information is “material” to the defense. The defendant has the burden of showing materiality, “which requires more than speculation.” In assessing materiality, courts apply a balancing test that weighs the public interest in protecting the free flow of information to law-enforcement officers against the criminal defendant’s right to prepare a defense. Courts generally do not order disclosure where the confidential informant is a mere “tipster,” meaning a person who merely conveys information but does not witness or participate in the alleged crime. The court held that Abdulkadir failed to show that the FBI’s confidential informant was material to his defense. With no specific “facts or circumstances” alleged, the court easily applied the privilege to prevent disclosure. The court noted that the case remains in the pre-indictment stage, and will permit Abdulkadir to renew his motion at a later date. If the informer merely notified the FBI about Abdulkadir’s Twitter posts, and did not participate in drafting them, then Abdulkadir will have a difficult time overcoming the privilege in the future.